King’s Park P.S. presented a cheque for £480 to Janice Barr from Charlene’s Project. 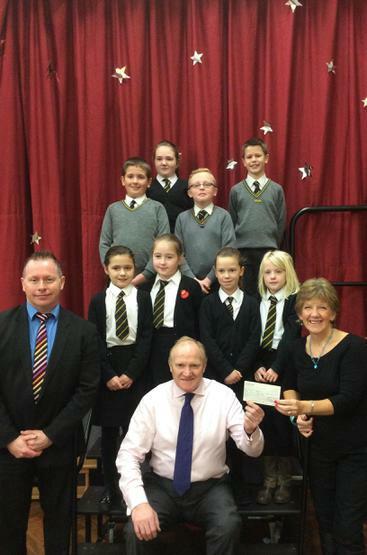 Pictured along with some school pupils is Mrs Janice Barr, School Principal Mr Shields and P.7 Teacher Mr Russell. The money goes directly to one of the three Charlene Project Primary Schools in Uganda. Pictured, are pupils from King’s Park P.S. 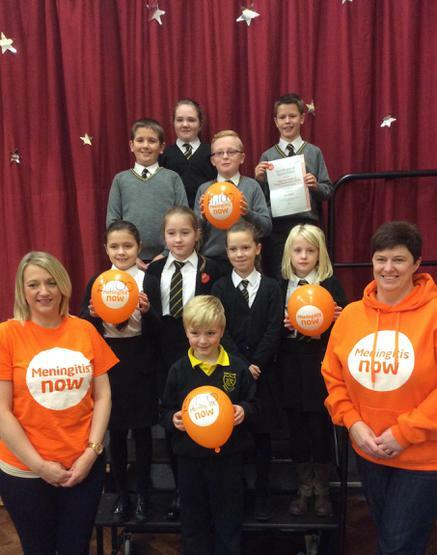 presenting a cheque for £1100 to Mrs Lana Wells and Mrs Lesley Banks from Meningitis Now. The money was raised through a Mad Hair Day event in school. A total of £8720 was raised in total.